WWCS Episode 56 MessengerBank CEO Kent Kristensen discusses Borderless Money, CryptoCurrencyWire, School House and Drews Rant! WWCS Episode 56 MessengerBank CEO Kent Kristensen discusses Borderless Money, CryptoCurrencyWire, School House and Drews Rant! 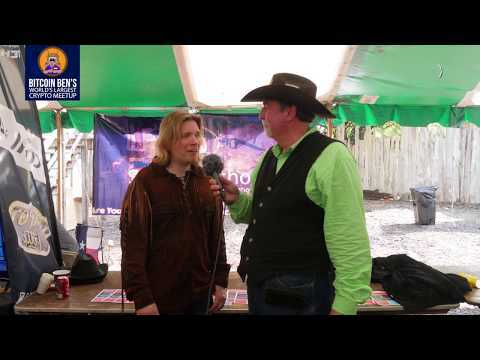 Kent Kristensen comes out to the Wild West and discusses Borderless Money and getting Married! Kent Kristensen comes out to the Wild West and discusses Borderless Money and getting Married! Recap of Bitcoin Ben Meetup, if you didn't make it this year DON'T MISS IT NEXT YEAR! Recap of Bitcoin Ben Meetup, if you didn't make it this year DON'T MISS IT NEXT YEAR! 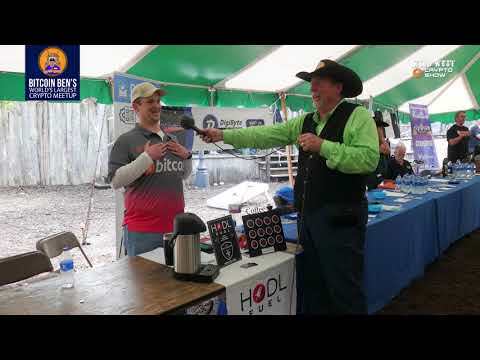 Nick with HODL Fuel (great coffee!) shares some thoughts! Nick with HODL Fuel (great coffee!) shares some thoughts! Jorg Molt at the Bitcoin Ben Meetup! Jorg Molt at the Bitcoin Ben Meetup! Interview with Amina @ Bitcoin Ben World Record Meetup! Interview with Amina @ Bitcoin Ben World Record Meetup! Laura Taylor from Digibyte at Bitcoin Ben World Record Meetup! Laura Taylor from Digibyte at Bitcoin Ben World Record Meetup! Litecoin Lisa and the WWCS talk about Crypto's, Charity, and April 6 Bitcoin Ben Meetup. Litecoin Lisa and the WWCS talk about Crypto's, Charity, and April 6 Bitcoin Ben Meetup. 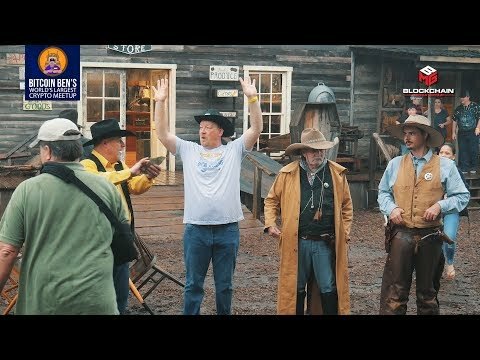 Bitcoin Ben & Jorg Molt are in the Wild Wild West getting ready for the Bitcoin Ben Meetup April 6th! YOU STILL HAVE TIME, DON'T MISS IT! Bitcoin Ben & Jorg Molt are in the Wild Wild West getting ready for the Bitcoin Ben Meetup April 6th! YOU STILL HAVE TIME, DON'T MISS IT! Level 15 earns you 2.4 points per upvote. You currently have 0/1816 points reach level 15.